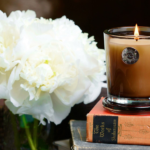 Aquiesse candles are created by a Santa Barbara designer, working with some of the best perfumers in the world. 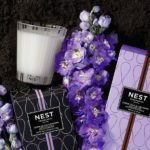 These luxury candles are designed to be inspired by nature, but at the same time are created to be innovative and unique. Originally, Aquiesse candles were fragranced with perfumes inspired by the scents of Central California. Citrus, ocean, mountains, and florals from the region went into every Aquiesse candle. 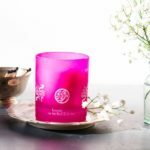 Each candle is made using candle making technique that has been around for hundreds of years and eah candle is made from a carefully-guarded soy wax blend. The technique and wax blend used in Aquiesse candles have taken years to perfect but this attention to detail has created an exceptional burn quality and a rich true-to-life fragrance for every Aquiesse candle made today. All Aquiesse candles are made with lead-free wicks and organic soybean oil, which not only ensures an exceptionally clean-burning candle, but also keeps toxins out of your home. Each Aquiesse candle is also packaged beautifully, ready for gift giving or just for a treat for yourself. 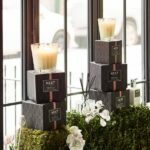 Aquiesse candles come in two collections, so that you can more easily find the home fragrance products that suit your home. 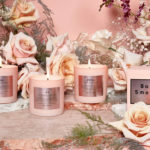 Aquiesse Portfolio Candles is the vintage collection, inspired by the Central California seascape and fragrances that inspired Aquiesse designers in the first place. Candles from this collection feature over 100 hours of burn time, thanks to the over-sized 10 oz candle jars. 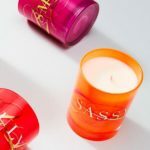 Aquiesse’s Portfolio candles have all the same high quality you would expect from Aquiesse — proprietary soy wax blend and the careful attention to packaging and quality are all here. However, Aquiesse’s Portfolio candles are beautifully packaged in a brown glass jar and in a vintage gift box. The glass cover also can be used as a beautiful candle pedestal when your candle is lit. Aquiesse’s Portfolio candles also features some stunning, natural scented candles. For example, the Aquiesse Alpine Meadow candle combines notes of grass, fruit, alpine floral, balsam fir, wood, mountain pepper, and musk. 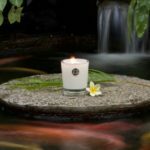 The Aquiesse Cherimoya candle combines the fragrances of green leaf, cherimoya mélange, and musk. 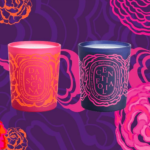 With innovative fragrances like these, you will want to try all the candles in this collection. 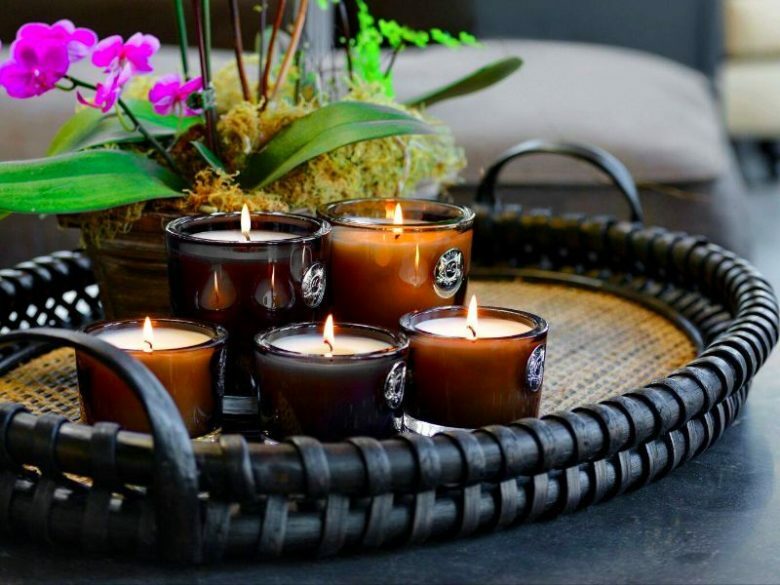 Aquiesse Souvenir Candles include candles with mystical and exotic fragrances. Every candle in this collection is inspired by travels to oceans and the world’s waterways. All candles in this collection are packaged in square vessels with glass lid and travel boxes. Whether you are traveling or just want a vacation without leaving home, try the Aquiesse English Bay Candle. With its notes of forest, cucumber, parsley, smoke, irises, dogwoods, cedar, patchouli, and sandalwood, it captures the Pacific Northwest’s English Bay. Or, try the Aquiesse Mustique Candle. With notes of orange flower blossoms, mandarin, citrus, jasmine, balsam, and amber, it perfectly captures the beauty of Mustique Island. If you love the North Sea, try the Aquiesse North Sea Candle, with its fragrance of pomegranate, sage, woods, wildflowers, patchouli and smoke.